All thoughts and opinions regarding this song and video are my own and no one else's. My opinion is my own, as yours is your own. Freedom of thought, opinions and all that jazzy love stuff. Capiche? Firstly, I want to apologise for not updating as much right now. I have college and a lot of rehearsals so I am a little bit busier right now. Also, welcome to my first PV review of the year. I originally intended to write a PV review for Dream Musume's new single, Shining Butterfly, however the song and video didn't actually capture me like this one did, so for that, this video deserves to be reviewed first. 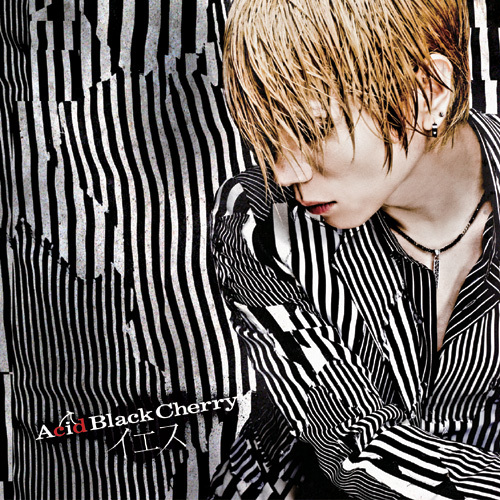 Now, kicking off this post - I have never listened to an Acid Black Cherry song before this - I keep seeing the band pop up from time to time on Tokyohive, but I never cared to take a look. This is most likely because 1) I think they look like a rock group and 2) They are a rock group (pretty much). However, I was somewhat drawn to this PV release for the simple fact that I really liked the cover art. It just drew me in, so I thought I would give the PV a go and see what I thought. 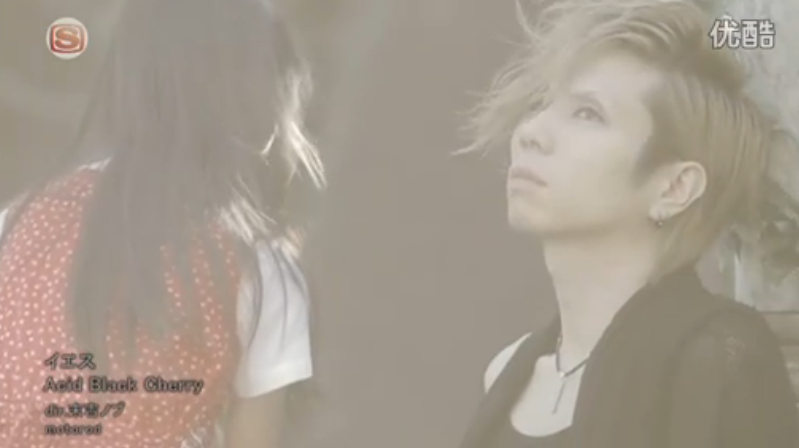 Did I think that I would like the PV? Honestly, no. I thought that I would hate it. Did I think that I would like the song? Hell no! I was prepared to really not like it... And in the end, I was surprised with what was presented. Now, I really have nothing else to say without spoiling my thoughts on this video and song, so it's time for a spam of the pictures! Oh, I like this place! I would find that the girl is being too close for comfort, but then again, she's a curious child. She put a ribbon in his bangs! Mwahaha! Wait, where'd it go now!? Pesky ribbons and continuity errors! BAH! This girl is damned adorable, can I keep her? It's nice going for a walk, ne? I will be very honest here: The first time I saw this scene, I felt my heart sink and break a little. How could he!? 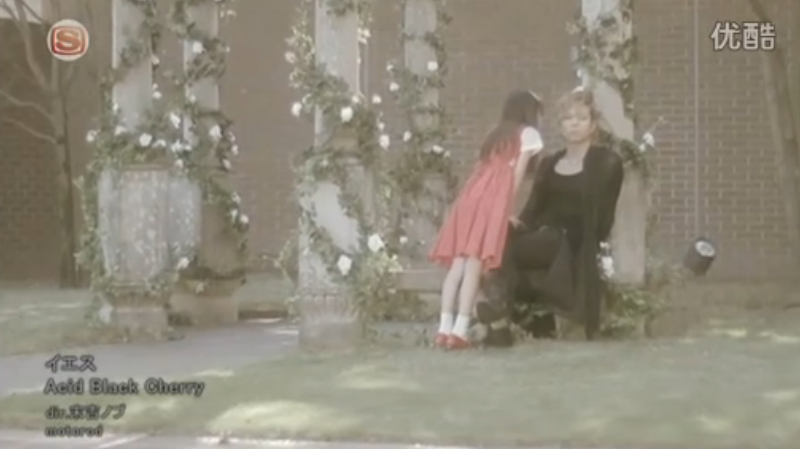 This scene is beautiful, just for the pure fact that the little girl looks so bloody sad! You can see the hurt. If you weren't cute, I would slap you silly. Wait, she's alive!? If only partially, but still, hallelujah! Do you not realise how happy this scene made me!? Is this his way of saying goodbye? OMG this scene is so happy!!! So, with the end of the picspam comes, as always, my conclusion to as what I actually thought about the PV and song as a whole, so, let's get into it shall we? 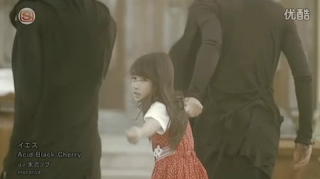 When I first saw this PV, I was really ready to just not like it, I will admit that. 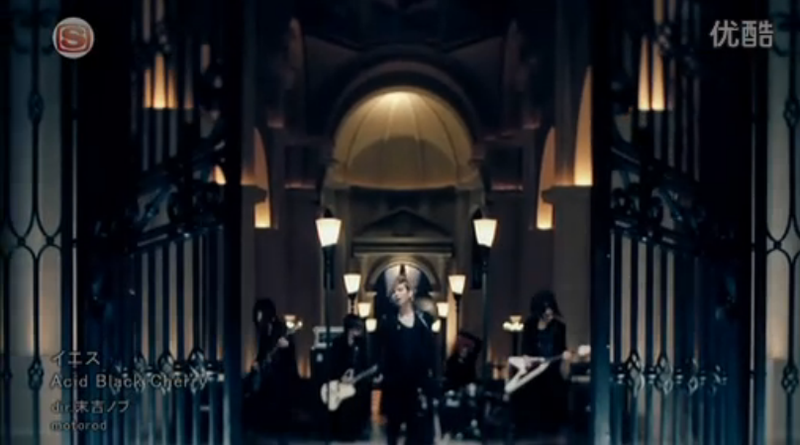 But, if anything, Acid Black Cherry has taught me to not judge songs based on my perceptions of the group - I thought they were rock, which they are, and I don't really like rock music (though I do actually like some if I give it a chance) however, watching this video has just changed my mind of the group, and I actually might go and listen to some more of their music. This song impressed me, and so did the video. I think that the tone of the song and the tone of the video fit so well together. So, starting off with my thoughts on the PV - Oh my goodness, I didn't expect it to make me feel sadness, happiness and an overwhelming amount of surprise when I watched it. 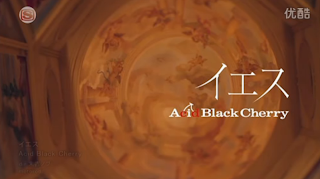 I enjoyed the PV and the storyline. It's just about a girl who meets a man, and befriends him, but in the end it turns out that he has to lead her to Death because in the real world, she's dieing. 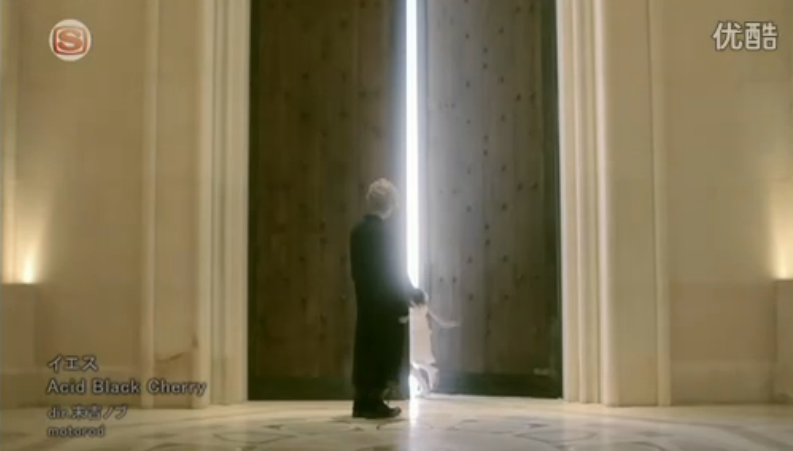 It's a very heartbreaking scene when he finally lets her go, though you can see the regret on his face. Watch even more heart wrenching is the fact that the girl accepts this, and doesn't resent him in any way, and even waves goodbye to him even though he's turned his back on her. In the end, his regret brings him back to her, and the two reunite with the little girl fighting away Death and running to her friend. Then, finally, before she can go home, the man returns her red ribbon, a link to the real world where she is alive, and ties her fate once again so that she can live on. The girl leaves him, and wakes up to find her mother sitting beside her, and then it ends with the red ribbon being shown. I don't normally write out the storyline for a PV (considering the PVs I watch have no storyline) However, I found this one extremely touching - it obviously shows the story of giving life another chance, and it's in the form of a little girl. I found that it was a really strong subject to do, especially as it's a rather hurtful subject when children are put in this situation. What I liked the most about this PV though was the bond that the girl and the lead singer had created as the Reaper and someone who was dieing, but didn't know it. It's sad, because he has to give her up even though he doesn't want to, and the fact that she gives into this realisation is rather hurtful for me in a way. It's a sad scene during the middle of the song and video, but it really makes the relationship between these two work. With the ending of the video, I found it extremely sweet that he had returned her ribbon to her, and whilst I thought it was the red string of Fate at first, I finally came to the conclusion that it was her last tie to her life before being brought to death, as well as a sign of their friendship with each other, and the final tie that would seal her life for a longer period of time. 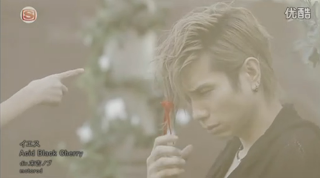 I like the significance that the ribbon played in the video. It's meaningful to both characters, as it created their bond and tied them together. So, I really did enjoy the PV - the story line was beautiful and thoughtful, and showed how important a life is. It's all about having another chance and taking that chance. The girl took that chance in the end by breaking away from fate, and in the end woke up. At times I thought that the PV was a little slow and should have moved along a bit, and the repeated clips were a bit noticeable, but I enjoyed the PV in the end. I guess the slowness of the video was because of the song, but I will just blame my impatience on this one. 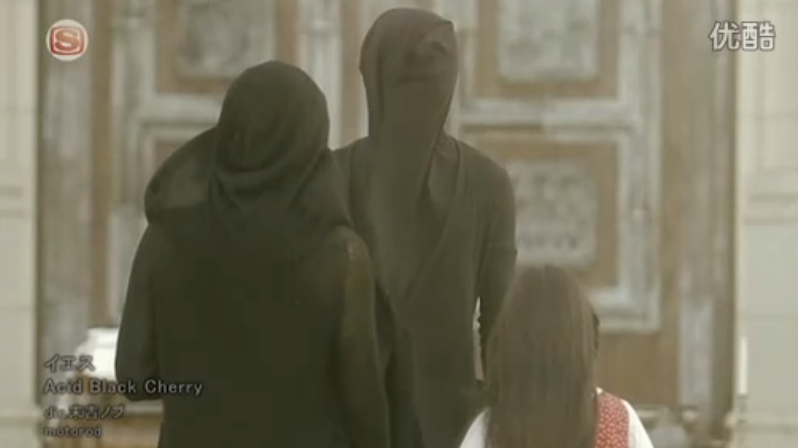 I enjoyed the video, especially the acting from both the Reaper and the girl. They seemed quite close to each other, at least to me, and really sold the video. Especially that kid. Now, moving onto the song - when I first heard it, I was surprised at how soft it was. When I think of rock, I think Heavy rock, not soft rock - I don't really listen to this sort of music, so I don't delve into the different types, but I know they exist (well, now I do haha). But with this song, I really enjoyed it - the rifts, the soft tone and how well the song fit with the overall PV. 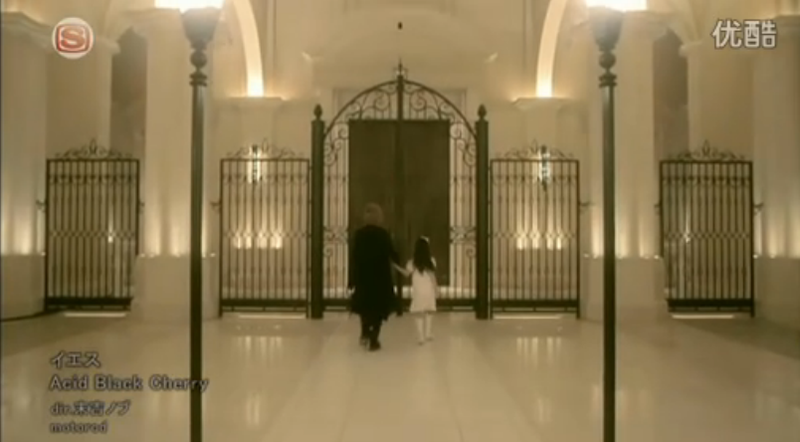 The presentation is beautiful, and I love that the climax of the song fits with the little girl breaking away from Death and running towards the lead singer. The music fits the time of the video and really makes it work with the song. I don't think that the video could have worked so well with a different song, in all honesty - I really do like how the song works with the video, and how much emotion it makes me feel when I watch the video and listen to this song. There are points where I listen to the song on its own, and I just feel a shiver. It's a wonderful song, something which I haven't listened to before really, and it just makes a great impact. It's slow and soft, then it gets heavier and creates an even bigger impact than before. I enjoy the change, and it really makes the song even more beautiful than it is. And the lead vocalist? I think I love his voice. He's amazing at singing, and even though I thought it was a girls voice singing at first, I have kind of fallen for this guy. I really need to learn his name, now. So, in conclusion, I really enjoyed both the PV and the song - I don't think that one could work without the other, because they fit so well together. I love the message of having another chance at life with the little girl, and in a way, it reminds me of when the Tohaku Earthquake and Tsunami hit Japan - it's kind of symbolic in a way, I guess, and even if it doesn't mean to give that message, it's a message that I got. The video is powerful, and the song is powerful. 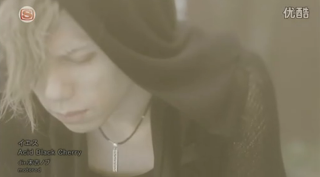 It shows friendship, near-death, regret and second chances, which are really strong messages to give in a video. 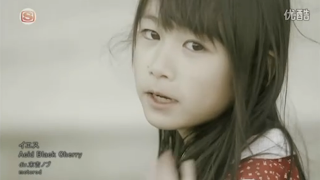 The little girl is definitely my favourite actress in this video - she shows a lot of emotion on her face, and really makes you feel what she's feeling, and the lead singer is amazing at portraying the emotion through his singing. The two fit so well, and in the end, it made a beautiful PV which gives such a great message and really inspiring PV that make me like this group a lot more than I thought I would. 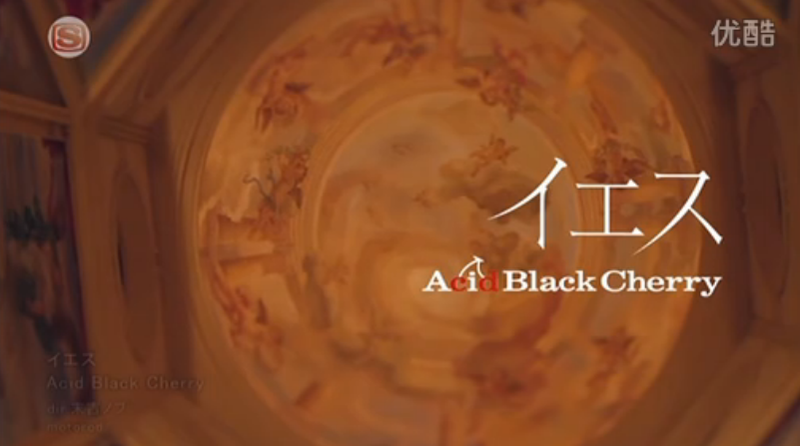 I wasn't ready to like this PV, I wasn't ready to like this song, and I certainly wasn't ready to like this group, but now that I've seen it... well, I want to hear more from them, see their other videos and experience Acid Black Cherry a little more. If anything, I should really learn to stop judging groups based on what I think of certain types of music. If their other works are as good as this, then it seems like I will have a new favourite group on my list. So... any suggestions for their songs? 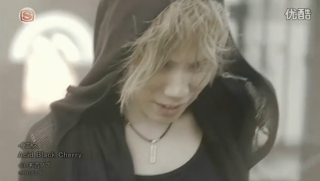 Acid Black Cherry is a rock soloist, the back-up members can change depending on the style he's doing. 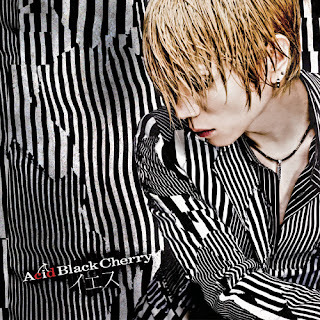 Acid Black Cherry has no strong musical boundaries, he’s very diverse. You can get melodic hard rock in one song, then meet a ballad the next, and find a modern nod to vintage rock & roll after that. Yes is the final phase of the 5-consecutive-monthly singles schedule (Pistol, Shangri-La, Chou, CRISIS, Yes) as a countdown to his 3rd album. I think you might like Shangri-La and Chou as well. Many people are loving Chou. I also suggest you 20+∞ Century Boys. It's not a rock ballad, but the PV is so cracktastic and the song is fun. All time fav for many people. 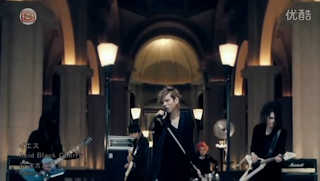 My personal fav is a rock ballad titled Prologue End (thus contributing to the birth of http://prologue-end.livejournal.com/ where you can find everything ABC). 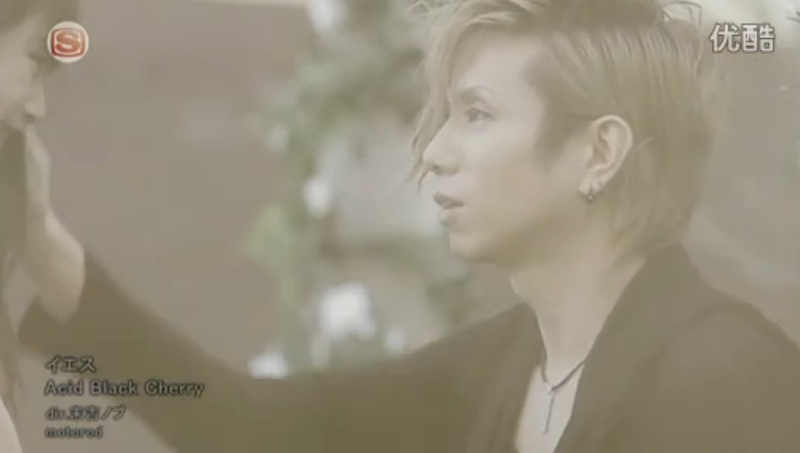 It's not a single though, it's from the 1st album, so there's no PV for it. But, Yasu (ABC real name) always performs it in the acoustic corner of his concerts. Oh, he's the most amazing in live performances, he never fails to hit the right note and Fuyu no Maboroshi is so magical to be listened from the live performance. I have recently watched Chou (and introduced one of my friends to Acid Black Cherry) because Chou seemed like her kind of song. It was a nice song, but not something that I would listen to all the time, to be honest. 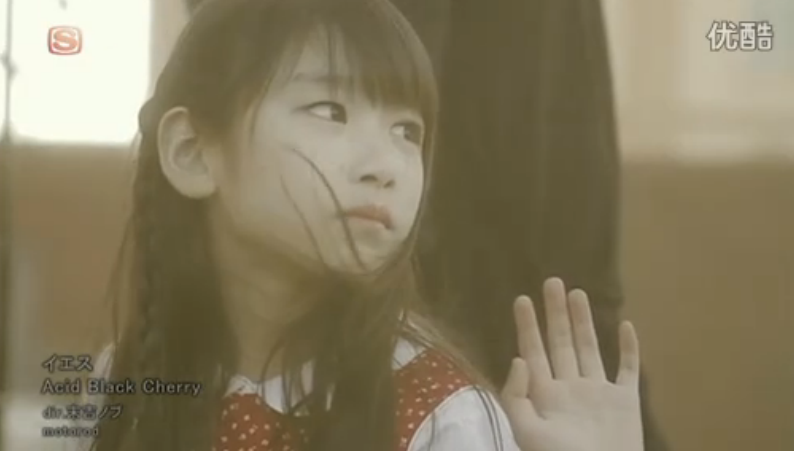 The PV was very interesting though. Thank you! :D I'm still new with Jrock, but when videos like this come along with a nice storyline and a good song, I really do enjoy them! Did anyone notice the ribbon was on her ring finger? I don't know :) You mean at the very end of it all?